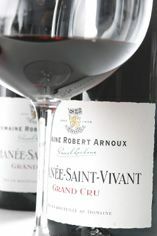 The Wine Advocate - The medium to dark ruby-colored 1999 Romanee-St.-Vivant exhibits violet and blackberry aromas. This medium to full-bodied wine is rich and flavorful. It is loaded with cherries, raspberries, blueberries, and juicy, super-ripe blackberries. It had been bottled only 72 hours prior to being tasted, which may well account for an ever-so-slight disjointedness. Anticipated maturity: 2004-2011. 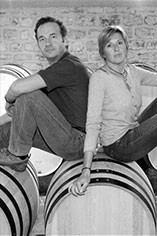 Domaine Robert Arnoux is a 12 hectare property run by Pascal Lachaux who took over from his father-in-law, Robert Arnoux, in 1995. Although always good, the quality of this domaine's wines has soared during the last 8 years under Pascal's tenure. He has initiated a policy of no fining or filtering, and an organic and biodynamic approach (he racks when the moon's descending, weeds when it's rising). 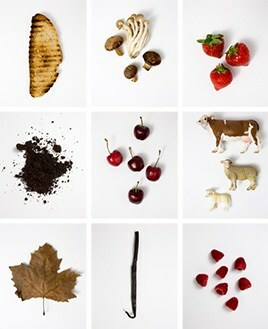 Any damaged or unripe fruit is dropped from the vines before harvesting. The grapes are destemmed then fermented with pumping over and splashing (délestage) rather than punching down, so as not to damage the pips. The village wines receive 35% new wood, 50-60% for 1ers crus and 100% for the top cuvées. Pascal has also been experimenting with some new demi-muids where there is less oak in relation to wine than for a barrel but the staves are thicker, (4.5cm instead of 2,7m) so the oxygen exchange is slow. These are concentrated, polished and highly sought-after wines. Pascal's success can be measured by the number of 4WD Audis parked outside the house.